It's time for Taiwan! 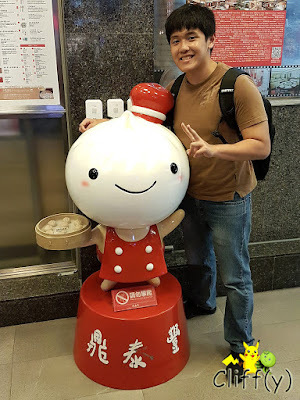 Internationally known for its xiao long bao (Chinese steamed dumpling traditionally steamed in a small bamboo basket, giving birth to its name), Din Tai Fung was founded in 1958 as a cooking oil retailer. It was only in 1972 that the original place of business at Xinyi Road, Taipei became a full-fledged restaurant. 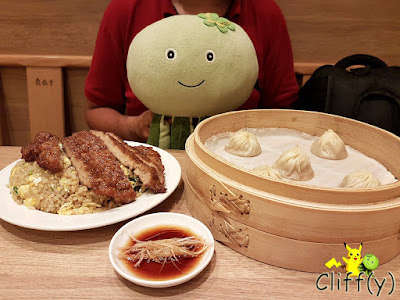 Melon was truly excited to be at the original branch, sampling a few dishes before going to a night market. The first four items shown below are under the top recommendations list. The starter dish of glass noodle, seaweed, beansprouts and beancurd strips whetted my appetite. Tossed with a tangy, mildly spicy dressing and sesame oil, they were delectably crunchy due to their freshness. 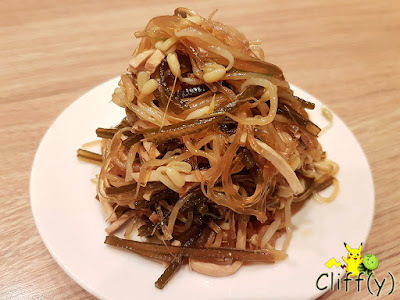 According to the menu, the restaurant uses only organic beansprouts in the dish. 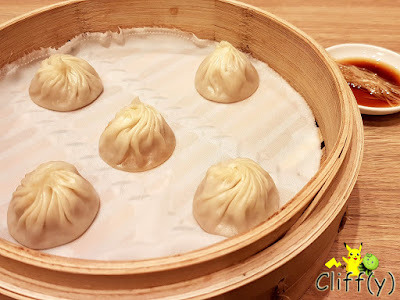 No trip to Din Tai Fung would be complete without ordering the renowned dumplings, even though I'm not that crazy about them. The soupy dumplings had more delicate flavours than those back home, accentuated well by the black vinegar and ginger strips. The ground pork was naturally sweet and bouncy. 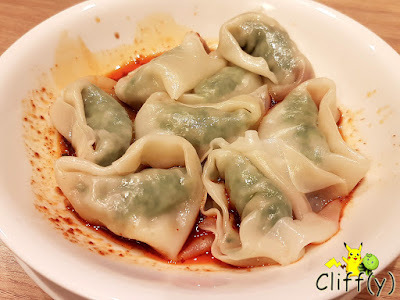 I felt that the wantons filled with springy shrimp and pork were more enjoyable than the xiao long bao. They were tossed with chili oil that were spicy and flavourful enough for my liking. 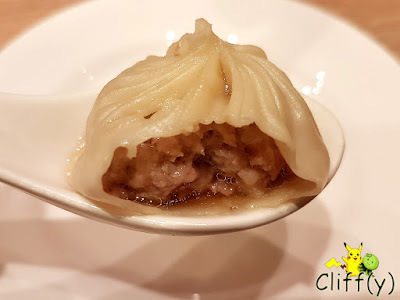 The dumpling skin was silky smooth and thus pleasant on the tongue. 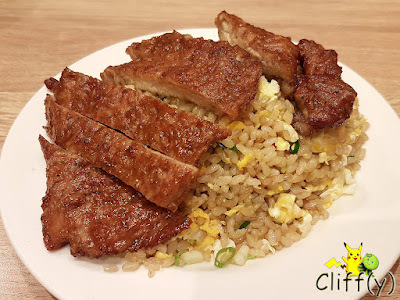 A down-to-earth dish, the fried rice was cooked with eggs and spring onions to make it aromatic. The pork chop was executed well, having a dark brown exterior and being tender inside. Pika's advice: You can choose between white rice and brown rice. I opted for the latter, which still resulted in fluffy fried rice. Despite not being the restaurant's specialty, the sesame buns were to die for. The dough was soft and airy, much to my liking. 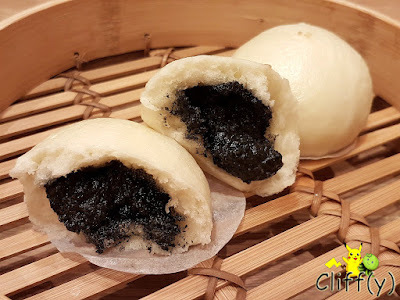 On top of that, the black sesame paste was thick and aromatic, having the right degree of sweetness. I've never had any other sesame buns that could beat those so far. In spite of the busy atmosphere with seemingly a neverending queue, the servers remained warm and friendly. They were attentive, refilling my cup of tea promptly.